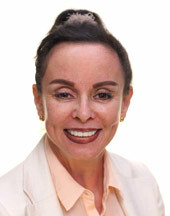 Elizabeth Gamundi is responsible for public affairs, international business development and marketing. She has studied industrial psychology as well as public relations and has worked for many years as a senior diplomat for Honduras in a number of countries. She has worked on a number of development projects and managed several information and dissemination campaigns. Elizabeth has set up regional dialogues and coalitions for public affairs addressing specific European policy issues with Central America. She has prepared bilateral and regional strategy to Governments in the areas of public administration policy and social development. This required monitoring and analysis of EU policy developments as well as networking with regional institutions and relevant groups of interest. Elizabeth is fluent in English, Spanish and French has a dual Spanish and Honduran nationality.